Enchanted Excurse: OH, Talking About Weight Again? OH, Talking About Weight Again? Mawnin' Loverlies! I had an oppurtunity to try out the Ozeri Weightmaster II. This is a 440Lbs bath scale with BMI and weight differential detection. 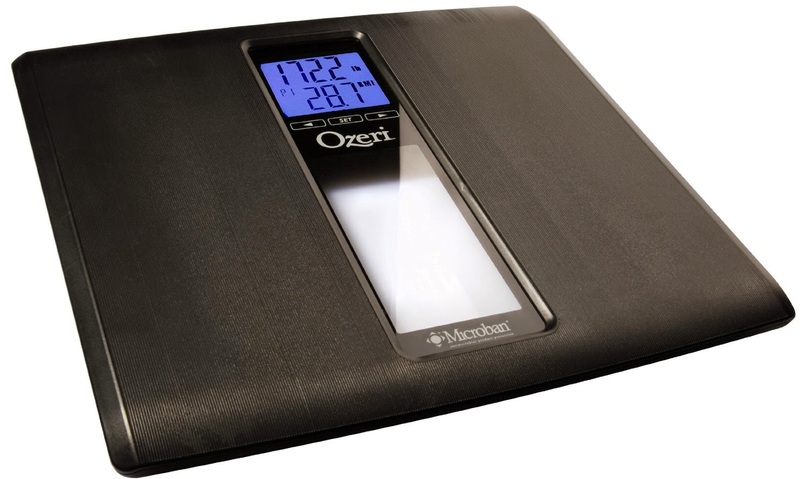 I really like the look of this weight scale, and that it is square and easy to fit into places. It has little ridges where you put your feet to prevent you from slipping, which is a must to have for a weight scale I think. With this scale you can set profiles for up to 8 people, and once the profiles are set it knows as soon as you step on the scale what profile you are. Another fun item about this weight scale is it tells you whether you lost or gained weight by color! It will show red for weight gain and green for weight loss, how exciting is that? Very Exciting! I know this works because I stepped on it this morning and noticed I lost a few Lbs since yesterday. I find it odd because I didn't do much yesterday to lose weight, but it's true! Here are some other neat things about this weight scale that are found on the box. 1. BMI (body Mass Index)- Calculates your BMI to provide a reliable indicator of your fat classification. 2. Weight Differential Detection - Displays the net change of your current weight from the previous recorded weight as well as the previous 3, 7 and 30 recorded weights. 5. Microban - Treated with Microban antimicrobial product protection that disrupts the growth of stain and odor-causing bacteria and helps maintain surface cleanliness. 6. Includes: Batteries, manual and non-slip, scratch-resistant feet that won't damage flooring. I believe this device will be money well spent, especially for trying to lose weight. 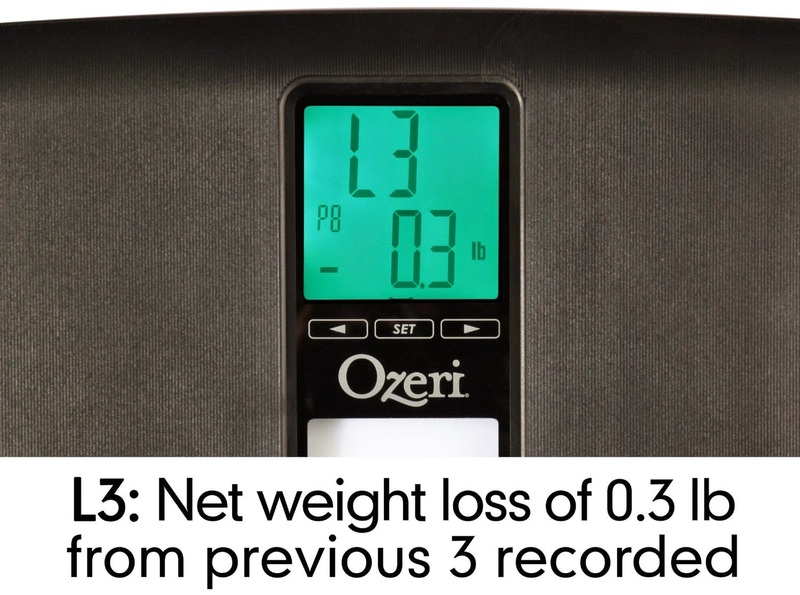 You can go grab your own Ozeri Weightmaster II here. I noticed it doesn't seem they are in stock right now, but keep your eyes open for when they will be in stock again. You wouldn't want to miss out on this scale! :) Ta Ta For Now! I blurred out my weight because, I don't want folks knowing. ;) sorry. lol But I wanted y'all to see the color it shows. I also wanted y'all to see what it looks like when it turns green, also that it works! This is what it will show when you lose weight.